There is something surreal about modern travel -- it took me longer to get to the airport Saturday than it did to jump to another country on another continent. It doesn't matter that it was only 10 pm by my hometown clock and I shouldn't have been so tired. 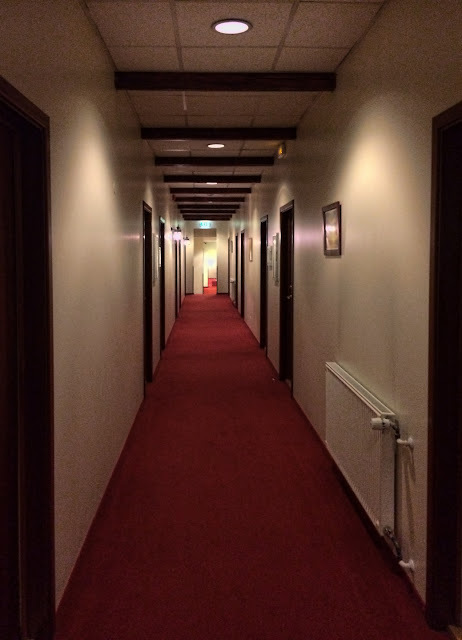 By the time I got through immigration and baggage claim and obtained some kronur and traded my voucher for a bus ticket, I was completely out of Spirit of Adventure and I was ready for bed. And that was before the hour-long bus ride in the rain, and the transfer to a smaller minibus for the hotel drop-off. 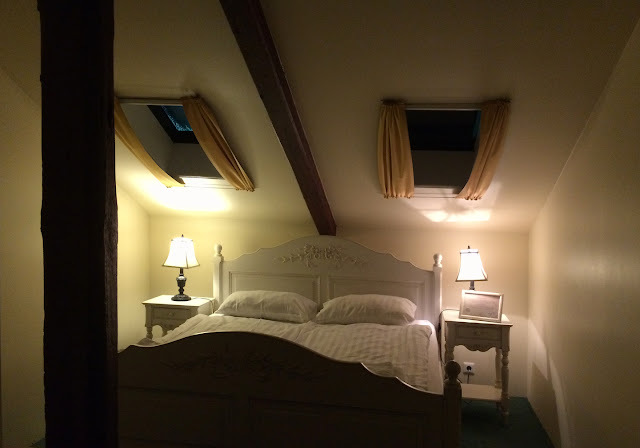 Fortunately, when I finally found my room, this is what awaited me -- a little bed tucked under the eaves in the historic portion of the hotel, with skylights instead of windows, beamed walls and old-fashioned whitewashed wood furniture. And suddenly everything about this trip was fun again -- because I hadn't realized how much I wanted exactly this bedroom until I saw it.